To configure the Select Manager Name people picker form control to let the form user select the manager on the Create Absence Request eForm, do the procedure in this topic. 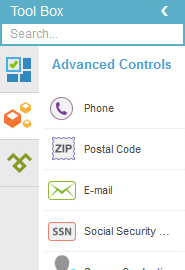 On the Advanced Controls tab, drag a People Picker form control onto your eForm. On the Field Setting - People Picker screen, click the General tab. 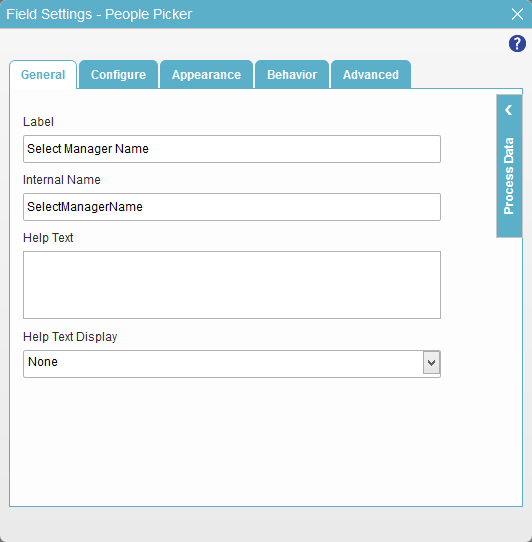 In the Label field, enter Select Manager Name. 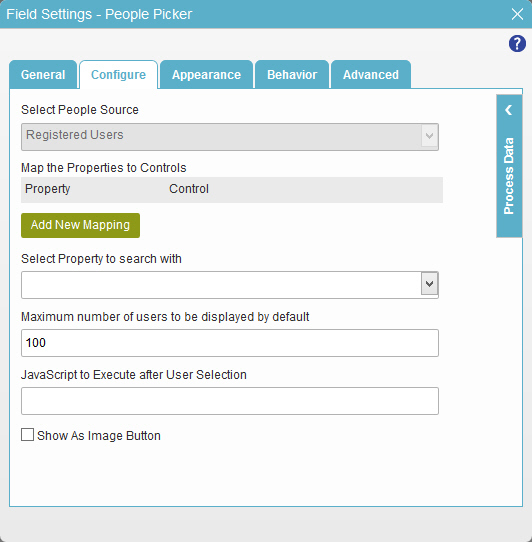 In the Property list, select UserName. In the Control list, select ManagerUserName. In the Select Property to search with list, select UserName. 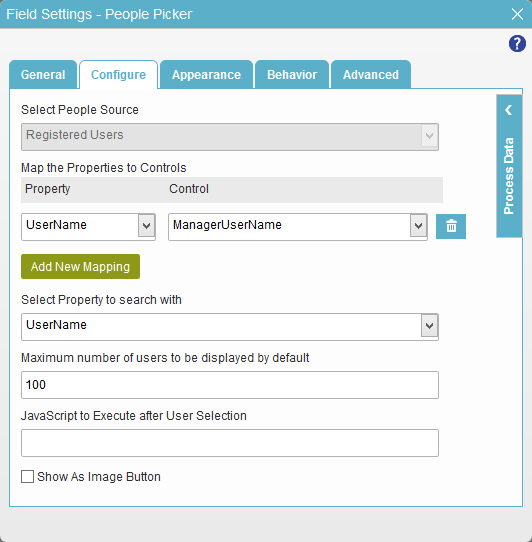 The eForm Builder shows the Select Manager Name control for the Create Absence Request eForm.